Department of Public Health Engineering dphe job Exam Application Form Download Now. 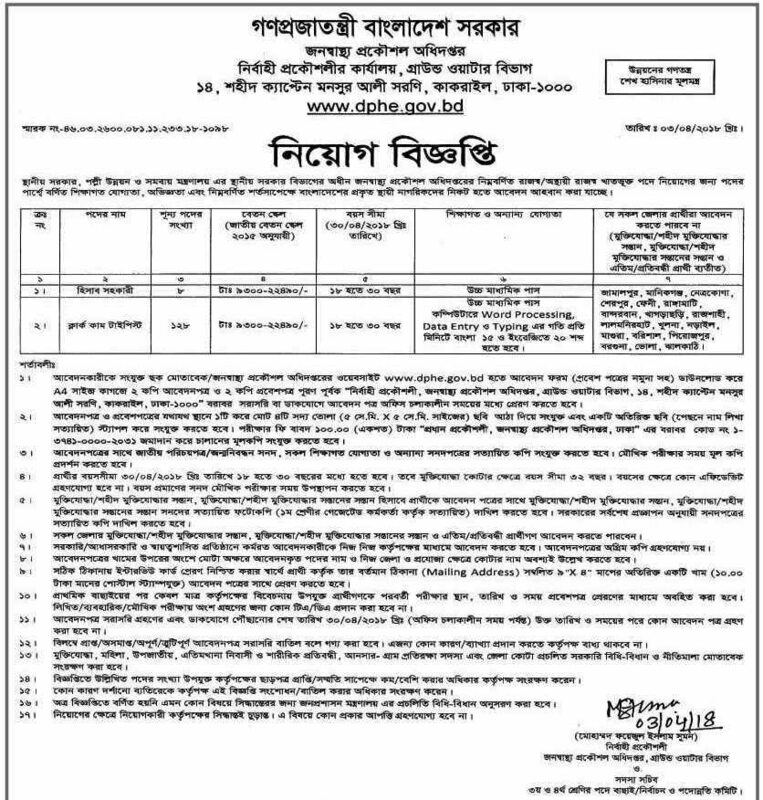 Today Bangladesh Government Authority Announce health engineering department New job circular 2018. Everyone wants to join Health govt Sector of Bangladesh. Recently public health Recruitment Chairman Publish a Good Career Opportunity for you. If you are Eligible Candidate, Then Read Following Employee Notice. Sector/Organization Name: Department of Public Health Engineering (DPHE). Job Published date: 07 April 2018. Online Applications Starts: On April 2018. Educational Qualification: pass HSC OR Honours and Equivalent examination. Online Application Deadline: 30th April 2018. Salary: 9,300 – 22,490 Taka. 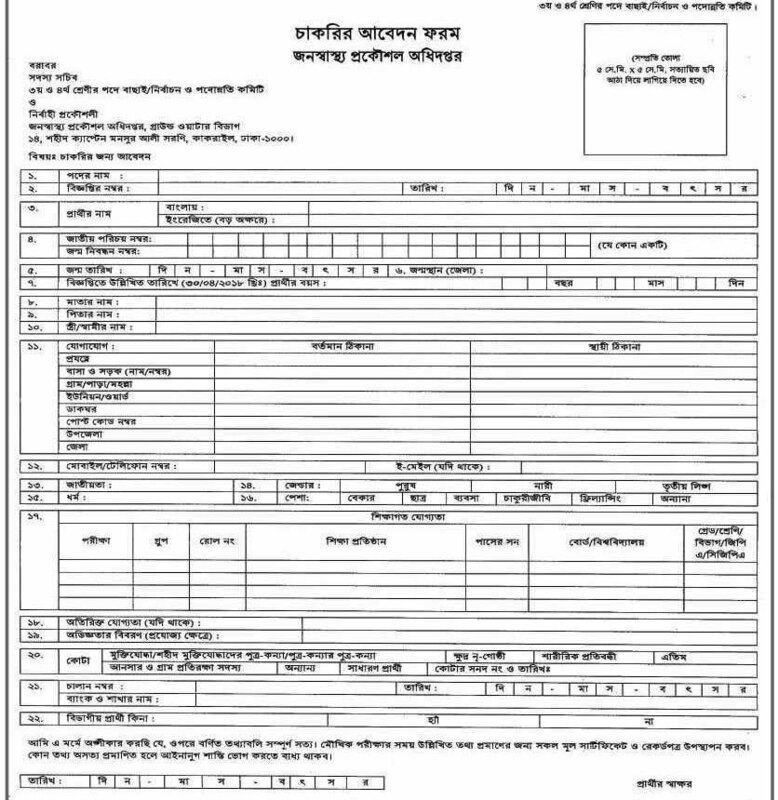 For More dphe job Exam Application Form Circular in Original Gov notice below. For Next dphe job-related Update will on edujobbd.com. here also available dphe recent notice, Exam date, application form and Viva results in information.